The contents of the wonderful Love Your Plane furniture shop and workshop on Oxford’s Iffley Road are great. Great furniture, really well designed, super cool patterns… Great cards, cushions, flower bombs, sketch books, note pads, prints, books, the list of greatness at great prices goes on, AND the guy that owns and runs the place is great too! All kinds of great… Including the great little gallery space, The Bus Stop Gallery, that he has out back. 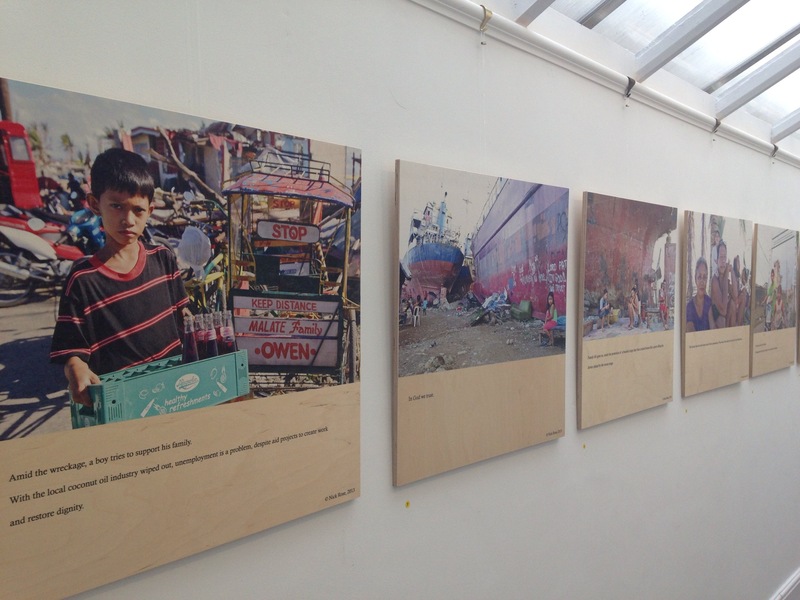 Coinciding with Photography Oxford festival, The Bus Stop Gallery have adorned their walls with some fantastic photojournalism presented in a very liveablewithable way. 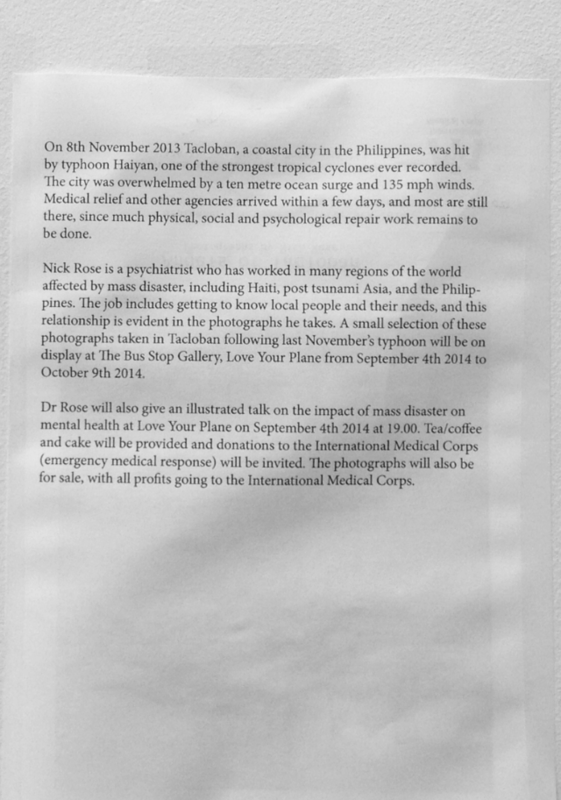 Liveablewithable is a funny word to use in this context (not least because the word doesn’t exist), but because the subject of the show by Oxford-based photographer and psychiatrist Nick Rose, entitled Angels of Tacloban, is that of ‘getting by and getting on’ in the aftermath of typhoon Haiyan, which hit the coastal town of Tacloban in November 2013. It’s not a massive show, but a hard-hitting show… and I actually found really uplifting and inspirational. The images depict ordinary people finding a way through tough times. 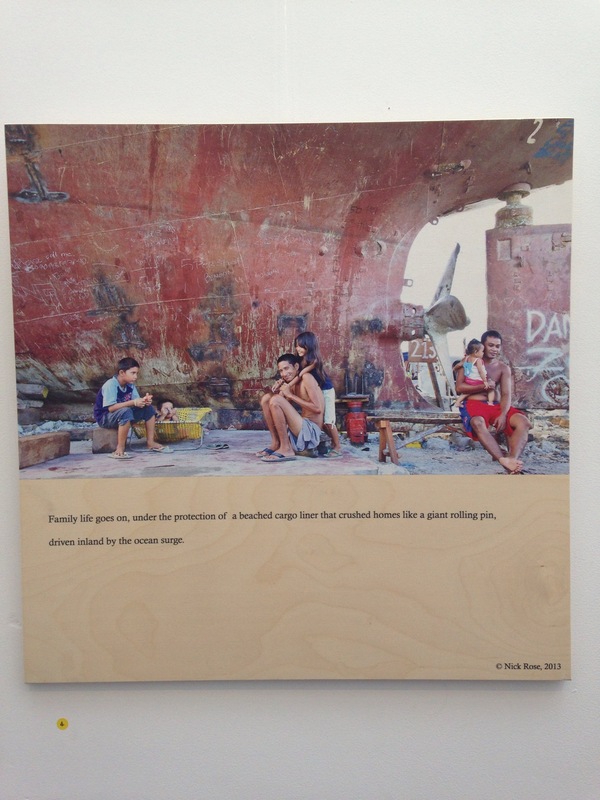 I particularly liked one image of a family sitting at the ‘foot’ of a massive ship that had by washed ashore. 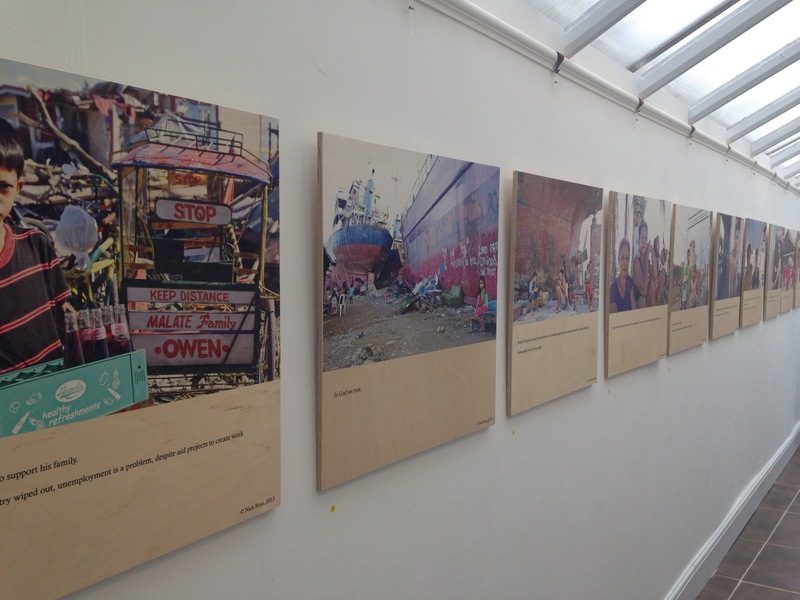 The owner of the gallery remarked how the scratched on the ship reminded him of the scars on a beached whale’s belly. I also especially enjoyed the images of girls in hot pink dresses having a dancing lesson underneath the roof of a sports hall that has been partially ripped to shreds by this aggressive cyclone that swept through it. The images are beautifully shot by a man who can clearly communicate with others, both his ‘sitters’ and his viewers. Rose has captured so much understated strength and spirit in the face of adversity in these stunning images. Adding integrity in integrity, all proceeds from the sale of works in this show (each piece is priced at £85) goes to the International Medical Corps. 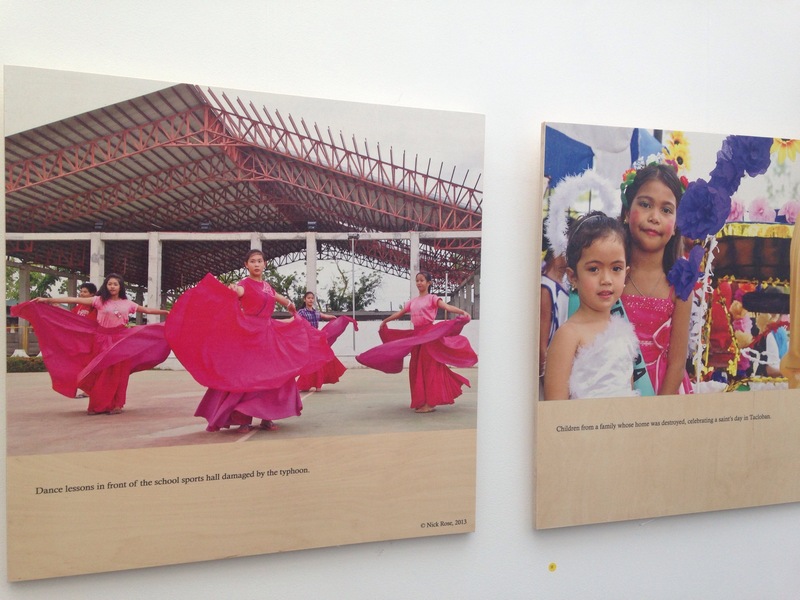 Angels of Tacloban at The Bus Stop Gallery in Love Your Plane continues until 8 October 2014. This entry was posted in Worth a Look and tagged Love Your Plane, Nick Rose, Oxford, photography, Tacloban, The Bus Stop Gallery. Bookmark the permalink.